After a car accident devastates his family, 15 year-old Adam searches for the reason behind the crash… and in the process, finds mystery, meaning, and maybe even unexpected happiness. 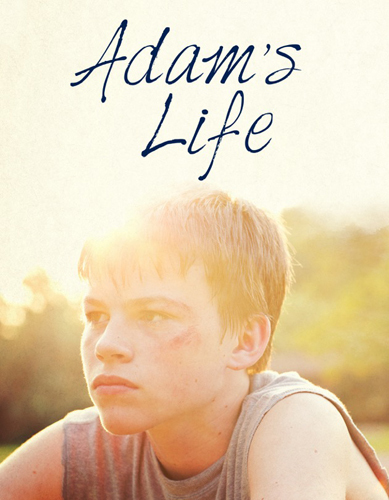 Adam’s Life is a one-hour series about a teenager whose life changes dramatically after a car accident kills his mother and leaves his father critically injured. Following the accident, Adam Longwill (14), miraculously left unharmed, is moved away from his home, friends, and school, to live with his grandmother, Grace Longwill (77), in the small town of Chase. Adam has to cope with the death of his mother, Megan (39) and the injuries to his father, Quinn (39). He has to fit everything that he knew before the accident into his new, post-accident, world. The transition isn’t easy. Despite being hard of hearing and physically unable to maintain the family farm, Windover, Grace Longwill has refused to leave. But she is neither prepared for, nor capable of, looking after her grandson. Before the accident, Grace had been convinced by Quinn to put the farm up for sale and move into a retirement home. The farm is run down and has been neglected since the death of Adam’s grandfather ten years earlier. But if Grace goes into a home, Adam has nowhere to go, and no one to look after him. Alice Harken (52), the social worker assigned to Adam’s case, agrees to let him live with his grandmother if Grace improves the condition of the farm and can prove that she is capable of looking after him. Adam quickly realizes that he is actually the more capable of the two. It is he who must look after Grace, the farm and himself. Further, the small town of Chase, while bucolic, is not necessarily an easier place to live than the big city. It has its fair share of challenges: bored teens looking for ways to act out, and frustrated adults looking to make a mark and a fortune. It is a microcosm of life’s tests, both big and small. Adam will have to grow up fast to face them, with no direction from parents. At least he isn’t alone. Adam befriends Autumn (14), an over-achieving tomboy whose military parents demand a lot from her, and Jackson (15), who comes from a broken home and is an inveterate troublemaker from a house full of them. Adam, Autumn and Jackson bond over their problems and become allies. They help Adam face any hardship as he comes to terms with the accident, and as he settles into his new home, school and community. Adam is also visited by his dead mother in vivid dreams. She gives him enigmatic advice and he tries to implement what he thinks she’s suggesting, although he’s never quite sure if he’s doing the right thing. For answers, Adam will have to keep on living and listening as the mystery of what happened on the night of the accident unfolds. The show asks a powerful question: what if you were a teen, and you suddenly had to raise yourself? What would you do? You’d depend on yourself and your friends to get by. You’d make mistakes, and you’d plunge forward anyway. And you might find some fun in the process, if you’re lucky. Rich, Winny and Pete are 20 something roommates working their way through a series of unrelated, sometimes wild, often strange, but always dead-end jobs to battle our generation’s ultimate foe: rent. CUBED is a single camera, half hour, comedy that is centered around Rich, Winny and Pete, three 20 something roommates whose expectations, ineptitudes, and quirks prevent them from keeping a job. They are caught in the netherworld between adolescence and adulthood, working their way through a series of often strange, but always dead-end jobs, while discovering how life as a grown-up works. The world of CUBED takes place in a fictional ‘big city’, in essence, ‘every city’, allowing for a variety of settings and stories. Having spent their 20’s coasting by in a small downtown apartment, it comes as a rude awakening when all three are unceremoniously fired. Broke, but not beaten, their lives and jobs are entwined as they struggle to grow up. And yet, each one holds on to childhood in their own way. Winston (29), an ex blue blood, is simple-minded, hedonistic, and above all else, a creature driven by impulse. He always lands on his feet despite managing to ruin every opportunity his family name provides. In the first season, Winston forms a bond with a young boy after sleeping with his psychotic mother. He becomes the boy’s ‘big brother’ in what might be his first consciously unselfish act. Richard (29), slightly jaded and a little sexist, is honest to a flaw; he can often seem abrasive, choosing to be ‘truthful’ rather than polite. Deep down, Richard wants stability, both in his professional and personal lives; but until he finds that one, perfect career, he’ll work any odd, quick-buck job to make ends meet. In our first season, Rich decides to make peace with the past after running into his ex-girlfriend and only meaningful love. In her, he sees his chance at achieving true happiness (wife, kid, job). Peter (28) is a scifi nerd, often choosing to live inside his imagination rather than face the real world. He is the most “employable” of the three roommates, but always ends up fired because of his social idiosyncrasies. During the first season, Peter explores his subconscious, guided by hallucinations of his parents, in the hopes of uncovering what’s holding him back in life. Our heroes are spurred on by a robust cast of quirky and often dangerous characters,‘friends’ slash ‘adversaries’ who shine a spotlight on their inadequacies. They are pushed in every possible way in their quest for gainful employment. The tone of the series dances the line between Judd Apatow and Edgar Wright, owing its sense of humour to films like Role Models, Hot Fuzz, and Horrible Bosses as well as shows like Californication, Community and Trailer Park Boys. 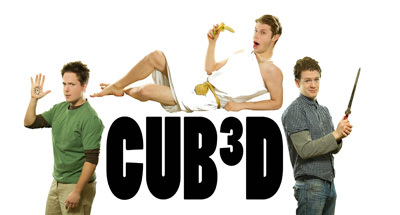 CUBED is, on a very basic level, a show about three young men who’ve failed to grow up. It tackles the ubiquitous dilemma faced by most of this generation: how to find job security and satisfaction in an ever-changing, fast-moving, world. In a Universe filled with alien worlds, we follow the adventures of Fuzzy Wuzzy as he battles the nefarious Mini-Witches with the help of two human friends, Nalani & Fred. Fuzzy Wuzzy is a script-driven, half-hour, animated children’s show that follows our eponymous hero, an alien ball of fur with cosmic power, on his adventures with Fred and Nalani. From fighting witches and pirates, to rescuing psychic horses, to simply having tea with dinosaurs, our heroes travel through a multitude of worlds, each with their own crazy set of creatures and rules. In our Universe, there are two main forces at work: the Mini Witches (evil) and the Orbians (good). The Mini Witches’ (or Minis) goal is to dominate all life-forms, while the Orbians are sworn to uphold peace. Therein lies their age-old conflict. The story unfolds from Fuzzy’s point of view as he and his friends try to make sense of this often-chaotic world. Fuzzy, though shy, faces off against terrible and frightening foes, all the while learning to control his powers. Nalani, his human sidekick, is a confident, energetic and precocious 10 year old girl who seeks out excitement in any form. Fred, her best friend and classmate, is smart and cautious, always planning for the worst but hoping for the best. At the outset of our show, the Minis enslave the Orbians, harnessing their powers to control space and time. Fuzzy escapes the battle and hyper-jumps to Earth where he meets Nalani and Fred. Although young, Fuzzy is determined to do his part to protect the Universe and save his people. 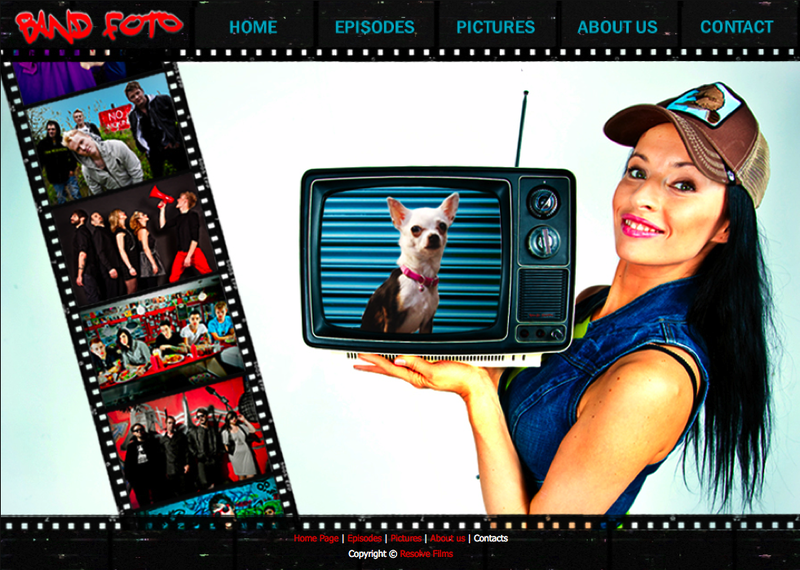 The series follows Fuzzy’s attempts to stop the Minis from taking over the Universe. Each episode deals with a new world, slowly building the mosaic of the show and the roster of recurring characters: Grandpa Freelander (Nalani’s grandpa), an authority on all things mystical and a crackpot inventor; Alice, a wisecracking rabbit, savvy to the ways of the known Universe; Molly, Nalani’s distant cousin, who’s already off fighting the Minis in a futuristic steam-punk world; and the Queen Witch, a beautiful, evil entity whose sole desire is to rule the Universe. The tone of the show is light and often humorous, but with a fantastical sci-fi twist. Think Samurai Jack and Gravity Falls meets E.T. The kids enjoy exploring these new worlds where they have ample opportunity to make new friends or battle new enemies. The humour is both physical, as with Fuzzy’s constant shape shifting and ‘hyper jumping’ through the universe, and dialogue-driven, as with Molly’s wisecracks. At times, the show grows dark and more often than not, our heroes face ‘real mortal danger’. But it never becomes too scary! The threat is only ‘real enough’ for us to care about them. Though funny and adventurous, our show also has heart. It’s about growing up and finding your place in the Universe. We deal with a variety of themes relevant to young children and aliens alike, from exploring the world around them, to learning to build and maintain friendships! It’s about working together to create a brighter future for everyone and teaching our heroes right from wrong in a Universe overrun with danger! It’s a show about a small fuzzy alien and yet it’s every child’s story of learning to grow up. It’s Fuzzy Wuzzy! 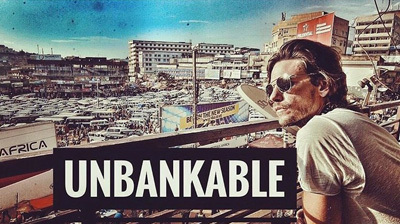 UNBANKABLE is a documentary series that follows Luke Willms, a natural born philanthropist, as he takes viewers on a journey around the world to meet various inspiring and unique entrepreneurs and small business owners who operate in regions where typical banking is not an option -- or where banks simply do notexist. Luke will be exploring various boundaries, whether it be crossing into conflict-stricken regions and underdeveloped communities to the depths of the jungle to find these entrepreneurs and hear their stories. What kinds of businesses are able to function without a bank? How do they operate without utilizing banks? What are their limitations? Does this affect the community as a whole? Where do investments come from, if any? What are the possible solutions? WHO IS HOST, LUKE WILLMS? UNBANKABLE was inspired by Luke himself and his overall endgame mission to change the face of charity in an entrepreneur’s world. Along with many others, Luke is on the verge of establishing a new system where we can merge philanthropy and charity with the idea of micro- financing/investing through donations. This series follows Luke’s research phase as he explores the communities where such a system would make the most impact, through the means of learning about the people and businesses that need such a solution. A brilliant and brash artist on the verge of greatness, his Florence Nightingale girlfriend, two detectives investigating a deadly crime spree, and a mysterious, machiavellian chemist, are brought together through the discovery of a narcotic with extreme and unexpected side effects. 17 suicides in the last month, all known junkies. None by overdose. 3 murders in the last week. Each victim brutally beaten. No one is talking and the evidence in each case doesn’t add up. The Bittersweet is a one-hour series that follows a brilliant artist, KYLE, on the verge of greatness, his doctor girlfriend, MEGAN, and the mysterious but deadly narcotic that fuels Kyle’s inspiration. After a chance encounter with nefarious dealer who gives him a new wonder drug called The Bittersweet, Kyle breaks a year long creative drought painting several masterworks in succession. While Kyle’s paintings begin to pile up, so do a rash of mysterious deaths at Megan's ER ward. At the centre of our series will be Kyle (29), a talented but tortured artist, constantly on the verge of success or self-destruction. His ‘Florence Nightingale’ live-in girlfriend, Megan (31), believes with her help, Kyle can be a sober and creative genius. Set in the art-scene of the once vibrant industrial metropolis of Odelon, and supported by a cast of dynamic characters, including officers AIDAN and MALAY, who are determined to find the source of the cities rising body count. And the dark and mysterious dealer, known only as the, THE CHEMIST, who developed the wonder drug – The Bittersweet – but for what purpose? Money? Fame? Revenge? 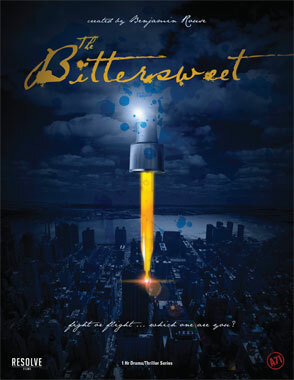 A modern day Jekyll and Hyde, meets Great Expectations and Sherlock, The Bittersweet is an entwined world of love, morality, addiction, and redemption. An action packed look into the experience of volunteering for a non-profit organization in a time of need. 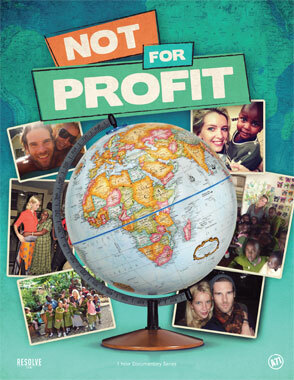 NOT FOR PROFIT explores the experience of volunteering at Non Profit Organizations. Our hosts, KALEIGH DEY & MIKE DIDIER, are a young couple, both teachers that have packed their summer with volunteering trips around the world. Every season they bring along a new cast of characters that are eager to be part of the mission. Whether it's chasing down whaling ships on Sea Shepherd, feeding and housing children in developing countries or going overseas to help devastated communities after an earthquake or other natural disaster, our fearless friends will be there, getting involved, confronting the crisis first hand, and making a difference. They will have a very specific task to complete and the challenges will drive their actions as they work toward the goal. We will be inspired and motivated by our hosts and eager to see where each mission leads them. It will be an intense and personal look at how a person can be involved and make a difference. Every episode will feature a celebrity who will explain their involvement with the non-profit, and possibly come along with our hosts to directly participate. They will experience the emotional rollercoaster ride of working with people in need, but inevitably find the pure happiness that a person can only feel from helping others. It is a call to action for those who wish to get involved with the serious challenges faced by humanity and the environment.